I have a line layer and point layer on my ArcGIS project. The points are on the lines. I want to create vertex on lines at this point coordinates. I could not add vertex on points, if point is on the line. 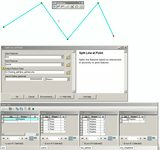 How can I do this using arcpy? Below is some python code that will take an un-ordered set of polylines with zero or more intersecting points and insert a vertex into the polyline at the point position. 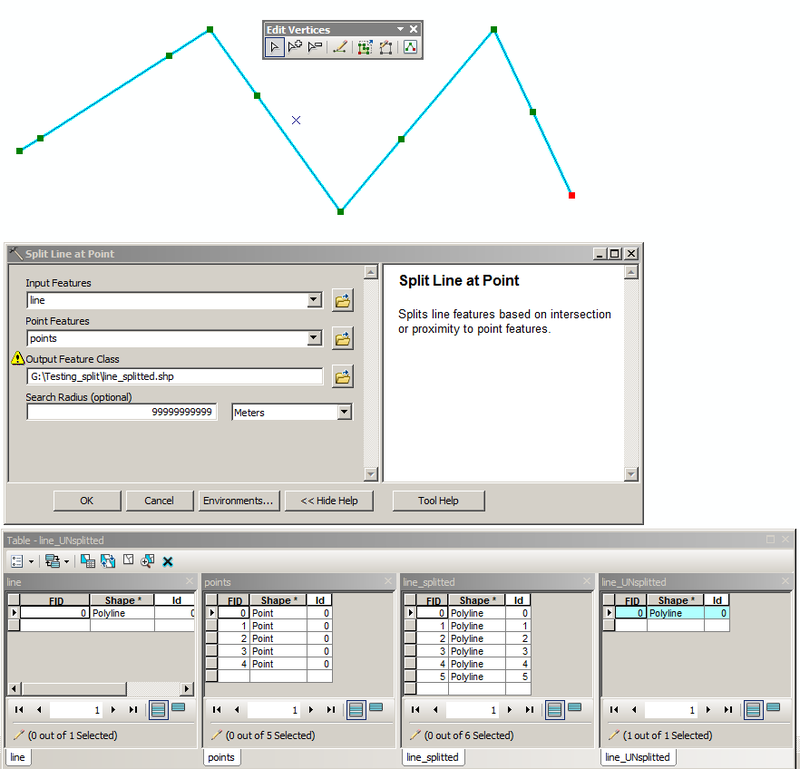 This code is designed to be dropped into the Python console in ArcMap, simply change lineLayer and pointLayer. I think I have a solution! I ve checked the following code and it works. 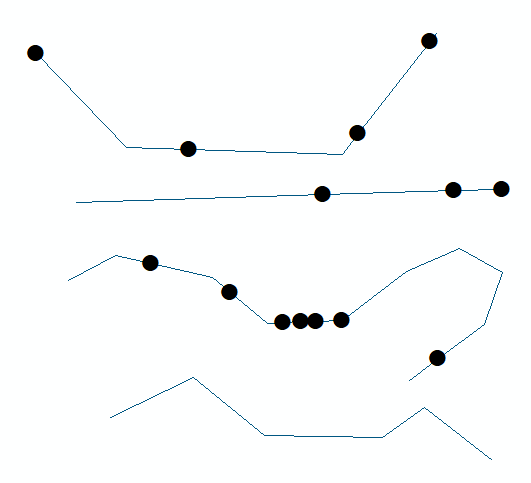 2) Then it merges These Vertices as Points together with your 'points' on the line -> Theres one drawback: On the Output Pointfile of this merge you Need to create a new field and sort the Points in the right order (1-9 in this example) Otherwise the final line would look like a 'grinding by numbers' (but Ive found also examples to automate this too..
print "New Multipoint Feature (LineToVertPoints) from Numpy Array.."
Use Split Line at Point tool to split the lines. 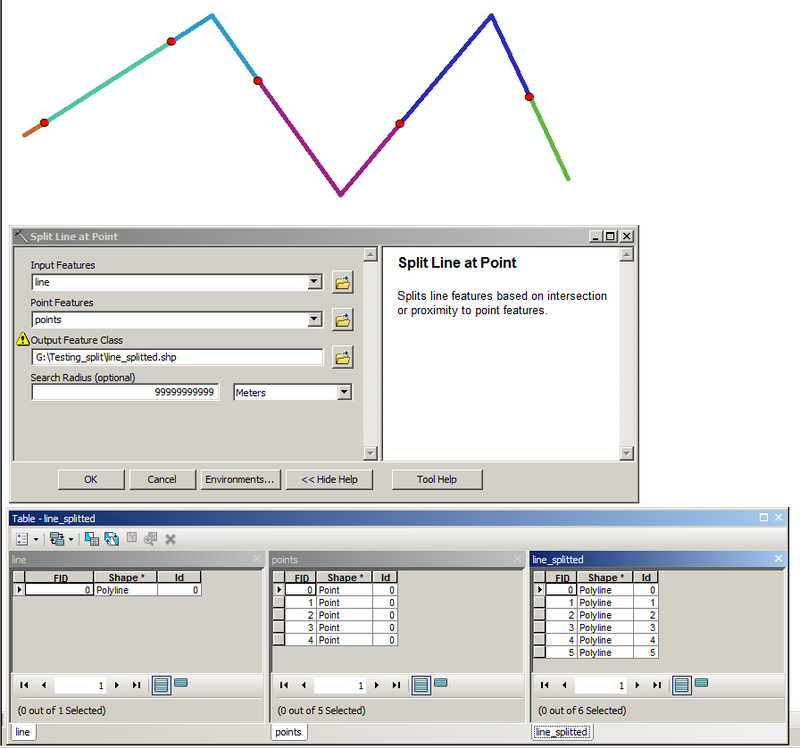 Use Unsplit Line tool to merge the lines back. 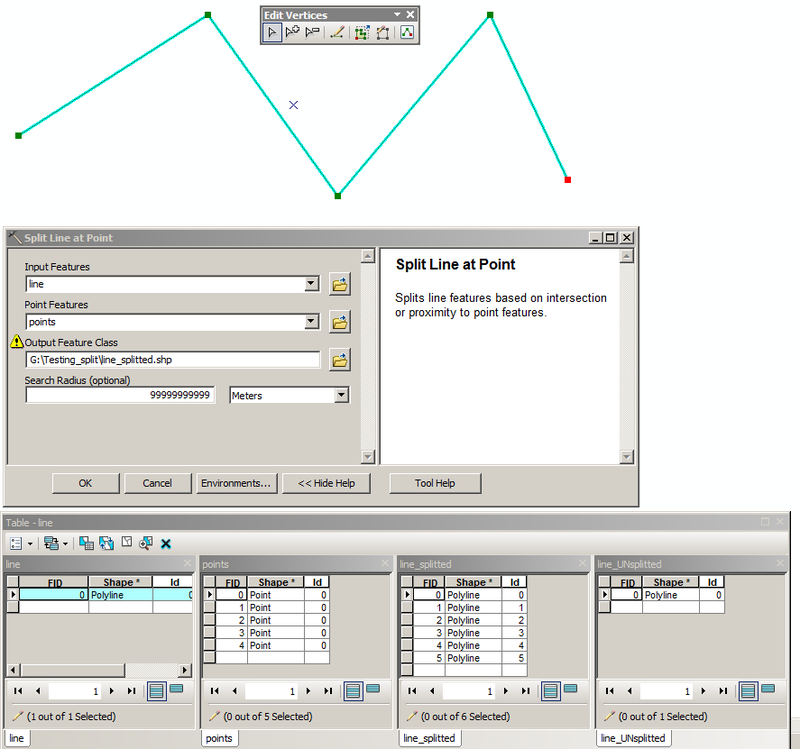 So by default Split Line at Point only works for ONE point per line. Other points on the line are ignored. But if you set huge Search Radius all points will split the line. I think you had your geometry token for your points wrong. It should have come as "Shape@". # This line of code returns x, and y as tuple. Not the answer you're looking for? Browse other questions tagged arcpy arcgis-10.5 or ask your own question. 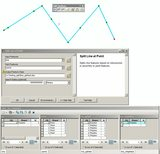 How to add vertex on the center of a polyline object? 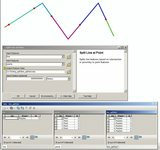 Creating point layer from linear layer with only ends of lines using ArcGIS Desktop?